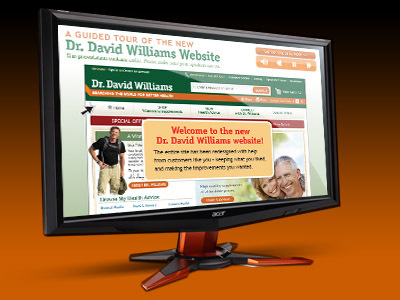 We were hired to create a multimedia-rich demo site for Dr. David Williams, a key player in vitamins, supplements and health products for a mature audience. The site was designed to walk customers and potential customers through the advanced functionality of the new company website. Voiceovers were recorded to make the process as easy as possible. When a product’s customers are older, a fast-paced, loud multimedia demo can be counterproductive. This demo uses a slower pace, larger text, and simple concepts.